Last week, we hosted one of the year’s most important events—the annual Florida Teacher of the Year retreat and gala. 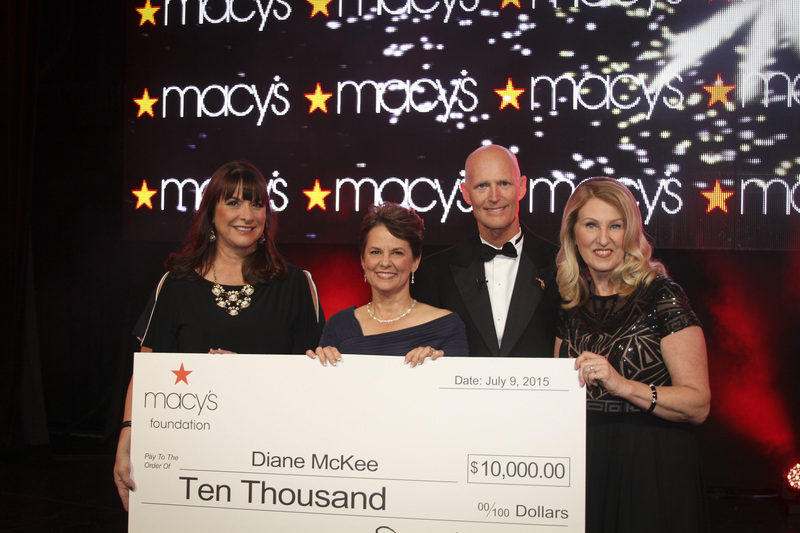 Diane McKee took home the top honor, 2016 Florida Teacher of the Year, but all of these teachers are winners. To honor their hard work and dedication to our state’s students, we invited all district teachers of the year to Orlando where they were treated to four days of professional development and networking. It was such a treat for me to spend time with these outstanding educators and I want to thank the sponsors for making these events possible. We are fortunate to have strong partnerships with many national, state and local businesses and non-profit organizations whose leadership teams share our passion for education and appreciate the critical role teachers play in preparing our state students for lifelong success. All of the sponsors listed below are vital to ensuring this annual celebration of teachers is both memorable and educational, and I especially want to thank Macy’s for their contributions. 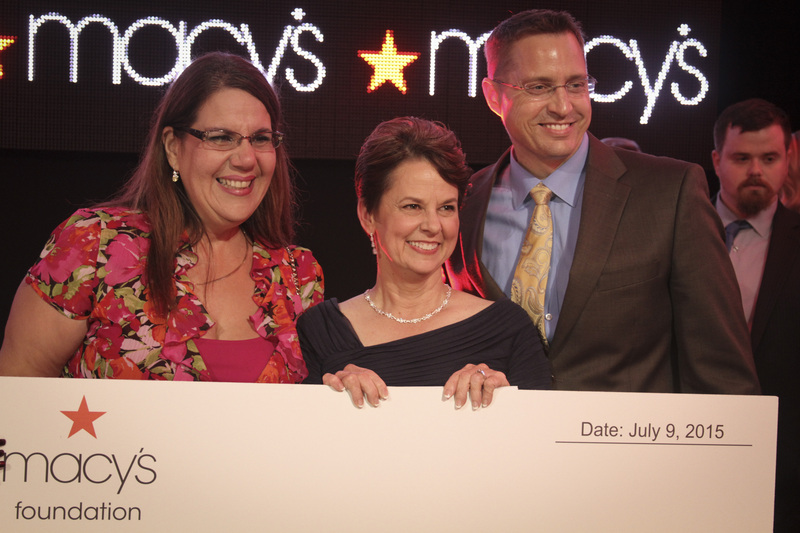 In addition to hosting a star-studded gala for the teachers of the year and their loved ones, Macy’s donated $102,000 in cash rewards and gift cards. I am already looking forward to next year’s festivities. 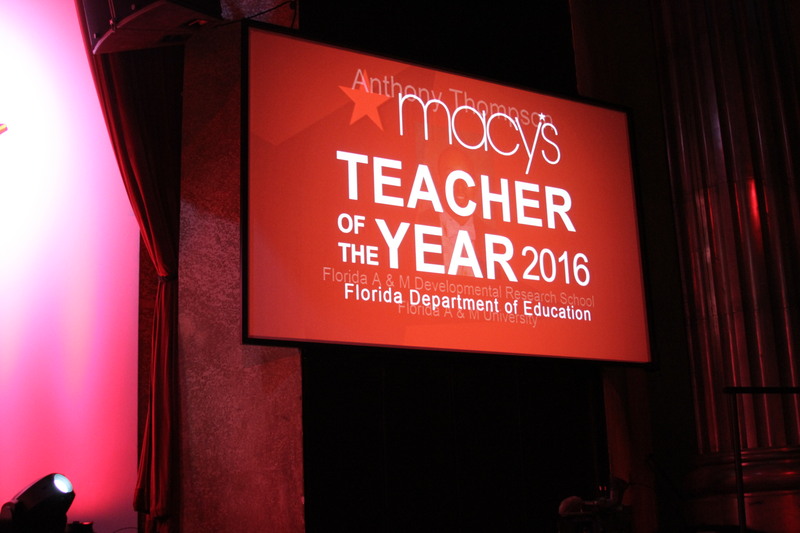 To see a list of the 2016 district teachers of the year and to learn more about the Teacher of the Year Program, visit http://www.fldoe.org/teaching/recognition-recruitment/fl-teacher-of-the-year-program/. Each year, the Department of Education names one Florida educator the Christa McAuliffe Ambassador for Education, also known as the Teacher of the Year. This distinct honor is bestowed upon an individual who has been recognized by his/her school and district for going above and beyond to ensure their students receive are prepared for success. Florida’s 67 counties have 72 school districts with more than 190,000 teachers serving 2.7 million students. Every day educators throughout the state go to work with a singular goal in mind: provide our students with the best education possible so that each child has the necessary skills to achieve their academic and career goals. With so many hard-working educators throughout our state, it was difficult to narrow the list of district winners to only five finalists and nearly impossible to select just one of those. 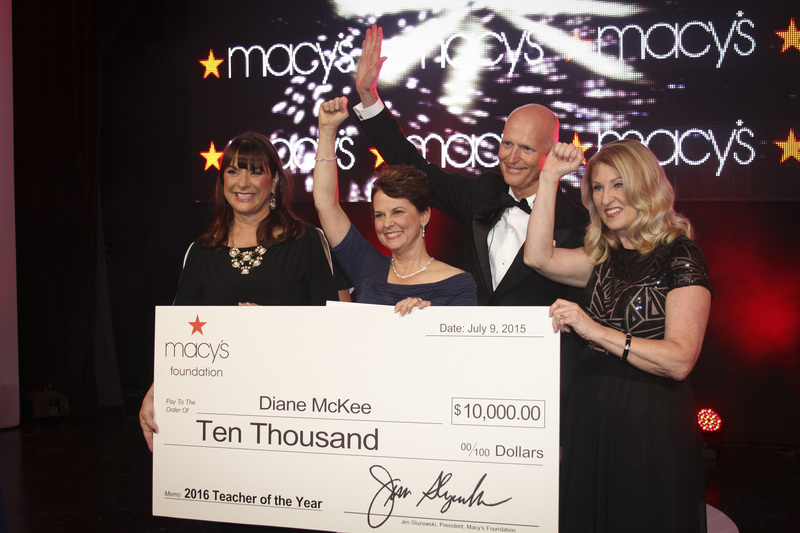 On Thursday, July 9, at a gala in Orlando, Diane McKee’s life changed forever when Governor Rick Scott announced her as the 2016 Teacher of the Year. Instead of returning to her classroom at Williams Magnet Middle School in Hillsborough County, Diane will spend the 2015-2016 school year traveling the state as a goodwill ambassador representing the Department of Education and all of Florida’s teachers. 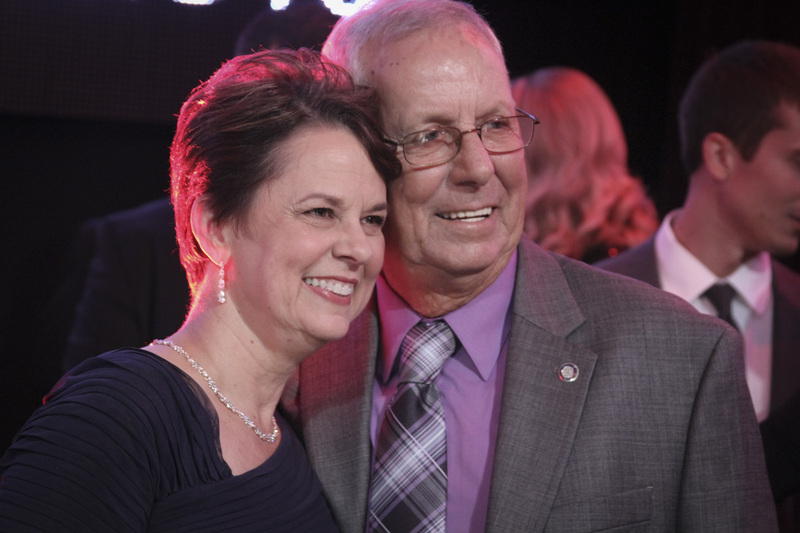 With 14 years of teaching experience, Diane has impacted the lives of countless students. Many of them have looked to her as a friend, a confidante and a mentor, but most importantly, they understand she wants to see them succeed. She believes it is important that her students remain focused on “raising the bar,” so she hung a bar from the ceiling at the entrance of her classroom. As students enter her room, they launch toward the bar, a daily reminder that their dreams are within arm’s reach. That mindset will serve her well in this new role. While we are proud of being ranked 7th in student achievement, there is still room for improvement and we must strive to be number one. After spending a week with our district teachers of the year, I am confident we are on track to achieve that goal and so much more. To all of our district teachers of the year, our four finalists, our 2016 Florida Teacher of the Year and all of the hard working and creative teachers throughout the state…thank you. Thank you for all that you do for our students and their futures.